"djTurntables" turns your device into a professional turntable for DJs. 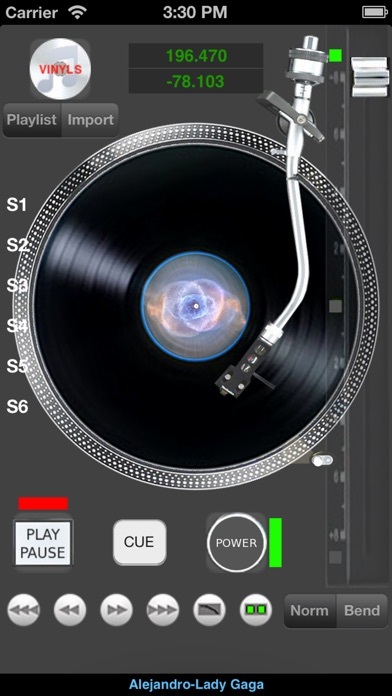 The software simulates in detail the real turntables used by the great DJs of the past and adds features typical of modern devices. The fusion of the two worlds of technology, that of the past and present, together with the sound quality of the device makes "djTurntables" a unique musical instrument for professional DJs. 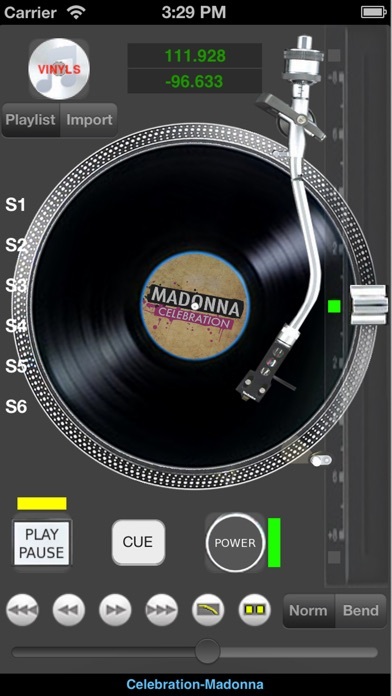 Connect your device to a mixer and transform yourself into an "old style" DJ with djTurntables! 1) Press on "Import" and after on the "white disk with the notes"